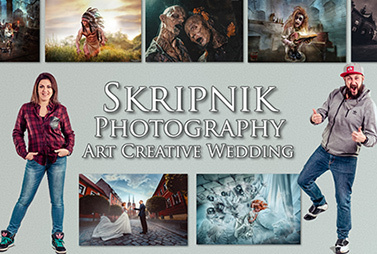 My photo won in Nikon Ukraine photography competition. 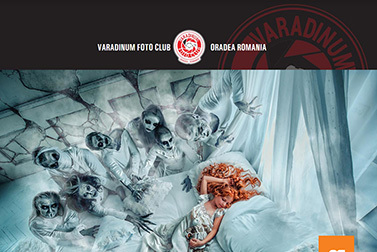 The competition was devoted to the photos that were made in Europe. 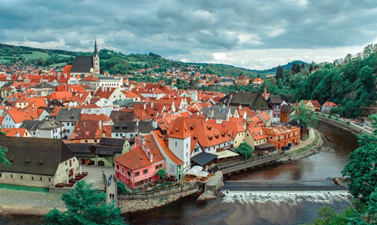 I have made this photo in the beautiful Cesky Krumlov town in the Czech Republic. We have visited Hungary again! 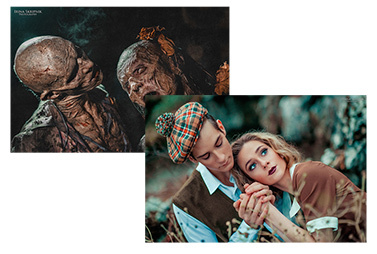 We have been invited by our beloved friend Christina Astaloz and created 4 amazing shootings together! Watch our photos and results! I do like to work with big brands and complicated projects. Try to imagine, 20 participants, stylists, videographers, light specialists and ME, 300 shoes pairs and 12 hours of continuous shootings. 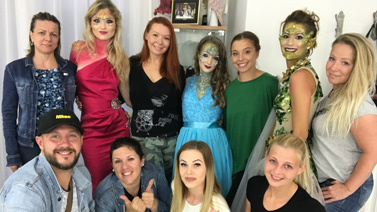 Our dear friend, 4-time Hungarian make-up champion Kristina Astaloz has invited us to visit Hungary! There we have organized 2 wonderful art esssions. Here are our photos and results. Today we finally met one of our friends from facebook! Today is an amazing day! Because we finally met one of our friends from facebook! We are launching our new online photography school ! 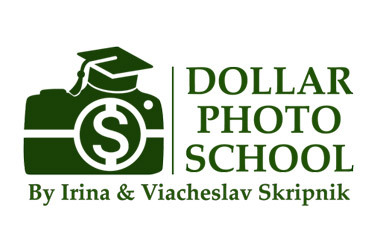 Our new ONLINE photography school – DOLLAR PHOTO SCHOOL ! In 2017 I have won 59 photography awards around the world! On this time I have got 48 of them, 11 are still on their way. Waiting! We decided to updated our Facebook Covers. Waiting for you on our pages! Subscribe! My award from Sri Lanka arrived! My award from Sri Lanka arrived! 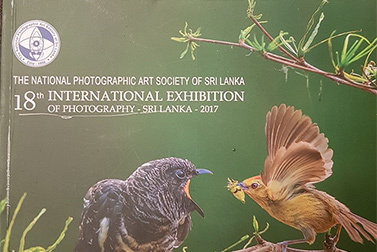 18th International Exhibition of Photography 2017 – Sri Lanka. Gold PSA medal for Coloring the Darkness photo. 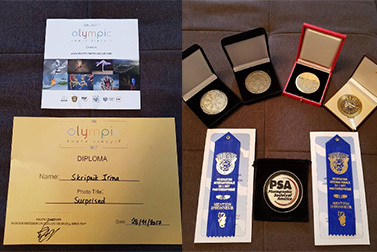 Awards From Denmark, Norway, Finland, Sweden and Greece have arrived! Amazing competitions. 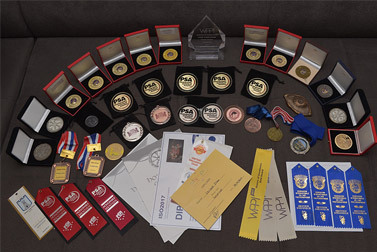 In Scandinavian tours I have got 7 awards, my new record! 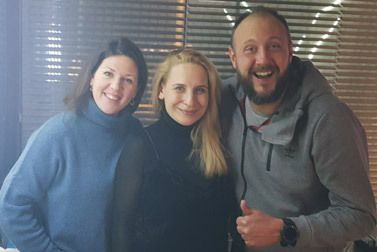 Live Translation from 8th of January 2018. 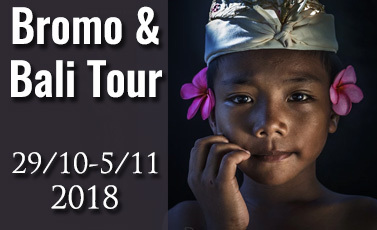 Indonesia tour, awards and something more! Welcome to the tour! 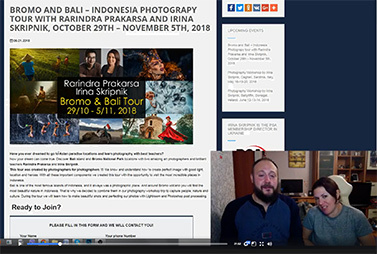 Bromo and Bali with Rarindra Prakarsa and Irina Skripnik Here is all the info – http://skripnik.com.ua/events-en/indonesia2018/ Join! It is going to be awesome! 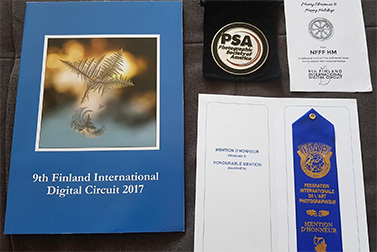 Awards from Finland have arrived – 9th Finland International Digital Circuit 2017 CIRCUIT. I do love to receive such kind of letters!